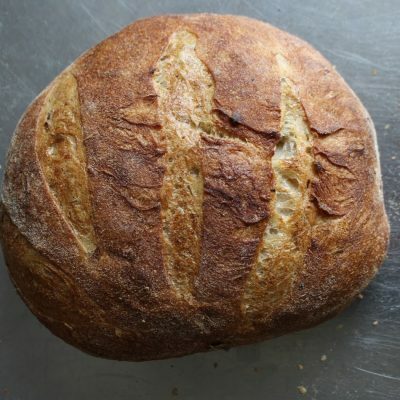 For those who relish a simple, rustic bread. 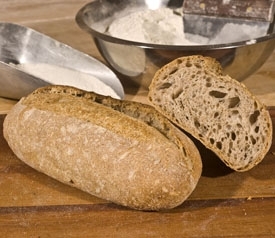 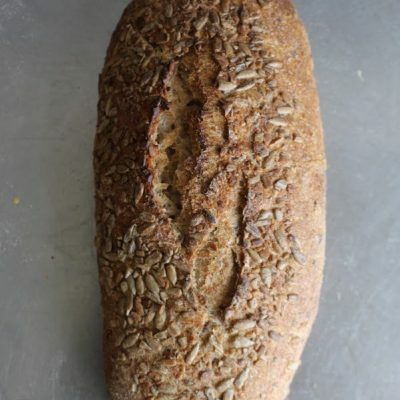 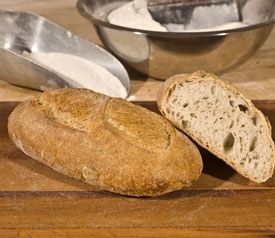 This naturally leavened, hand shaped bread is a light, wheat dinner or sandwich bread made with equal parts unbleached organic white flour and stone ground organic whole wheat flour. 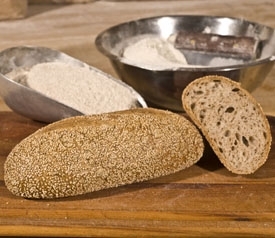 Ingredients: Unbleached white flour, stone ground whole wheat flour, filtered water, natural sourdough for leavening, palm fruit, unrefined sea salt.